On Oct. 15, approximately seventy service club members, six members of the faculty and staff, twelve parents, and five Sisters of Saint Joseph attended Matthew 25 Ministries to dedicate their morning to serving. Matthew 25 Ministries is an international humanitarian aid and disaster relief organization that helps more than 20 million people in need each year. The building is located on Kenwood Road in Blue Ash, Ohio. The Congregation of Saint Joseph dedicated this day of service in celebration of ten years since the merger of seven independent congregations throughout the Midwest. All of these congregations trace their roots back to 17th century France. McNicholas was originally a boarding school under the name of Saint Joseph Academy, so the Sisters asked for volunteers from the McNicholas community. The Sisters are still actively involved in McNick, and have served as teachers or principals of the school. Members of the faculty and staff who attended included Teresa Davis, Ashley Brothers, John Norman, Sam Roflow, Kaitlyn Richter, and Dan Rosenbaum. The event was introduced to Service Club, a platform used by the McNicholas Community to give students the opportunity to serve. 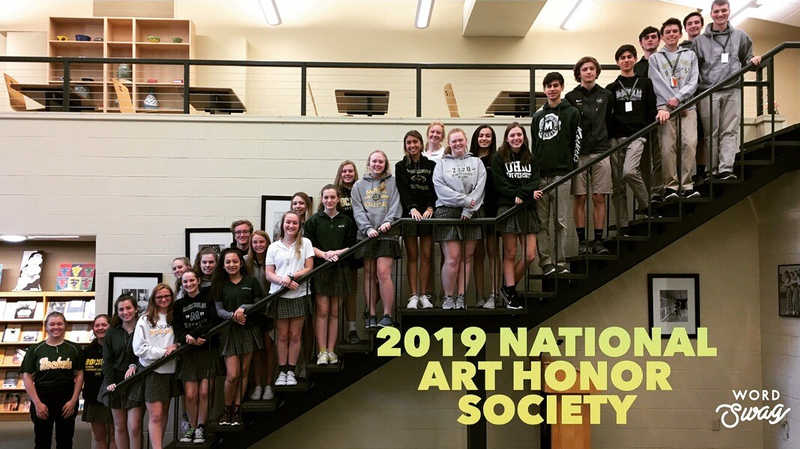 Theology teacher John Norman was pleased with the outcome and credits Sam Roflow with fostering the spirit of service at McNick, “Everyone here at McNick supports Roflow, and that’s why the variety of teachers and students were so interested,” Norman said. Students from McNicholas who had not been to Matthew 25 Ministries before experienced the Global Village Tour, a part of the building that is a life size replica of poverty in the United States, as well as third world countries. This is considered an essential part of the experience because it’s eye-opening to the extent to which poverty is present. It is considered important because it allows volunteers to have a more meaningful work experience. Senior Jonathon Hazzard was a first time visitor and said it was harder than he expected. “Seeing a physical representation of the homes struck by disasters and by the houses in third world countries made the whole experience a lot more personal, as opposed to just seeing awful events on the news,” Hazzard said. Students then proceeded to accomplish whatever their task was at their station. Each station was different, from unboxing and sorting razors to examining and sorting hair products. After each group finished, everyone gathered for lunch and spent time reflecting on what they had experienced throughout the day. Senior Noah Pasco, a returning volunteer, enjoyed the comradery of all the his fellow McNick peers, “I really felt like the McNick community was bonded together… as one,” he said. Norman said he would consider the event a huge success and that the student service was “amazing and inspiring.” He said they hope to return on April 29, 2017. Members of Service Club gather near the entrance of Matthew 25 Ministries. They joined the Sisters of Saint Joseph in a service day to celebrate ten years since the merger of seven independent congregations. Each member participated in different stations to sort supplies that would be used in disaster situations or poverty stricken countries.